This wasn’t the project I planned to do this week. I wanted to take my steno book and make a listing of the PC software I have and list what goes to which computer (my desk and laptop) and further divide them by games, productivity, creativity, and standard drivers and stuff. But I’ve lost the steno book. I don’t even think I can blame this one on the clutter. I put it somewhere and now I don’t know where. Luckily this isn’t an important project right now. I’m just upset I lost my steno book. Remember, it has all my video game scores and other listings on there. So until I figure out where I put it that project’s on hold. So I did the project this week I was saving for next week. As I continue to go through my comic collection I’ve pulled out a bunch of comics from my collection, leaving a big gap in at least one longbox. So this week I moved some comics around, putting a few more in the box and condensing the collection. So at least I did something this week, and considering how hot it is in Connecticut (and thus hotter in this attic) I’m lucky I was able to do that. By the way, for my fellow Americans, have a happy Independence Day! I didn’t do any clutter cleaning this week because Saturday was Free Comic Book Day. You can read about what I picked up over at my other website. I was going to do an article introducing my next project, but after starting that article later than I had planned I didn’t have time and I didn’t get to do anything during the week due to other things going on. It won’t be as big as one of the comic organizing project phases, but it will be at least two days of trying to figure out where to put stuff. So instead of a preview hopefully you’ll simply see the results. I just need to actually work on it next week because I have the whole week to do it. I know I was going to review my last Alternator this week but I haven’t had a chance to go over it. Next week is going to be hectic but I’m going to try and get it done then. In the meantime I’m crossposting the next Armada minicomic from my other website that hasn’t been posted here yet. Previously we’ve looked at the first three Transformers Armada minicomics Dreamwave produced for Hasbro, but there’s one more to go. So it’s time to finish this series. Dreamwave also produced minicomics for Energon so we aren’t done yet but we’ll put this series to bed. It was decided to make Unicron the big threat of the subline and tie the version of him in this continuity to the Mini-Cons, and so the “Unicron Battles” began. And this was the comic that introduced the idea to toy buyers who didn’t see the show or read the regular Dreamwave comics. So how does it do? The first two comics were not that great since they had to force three translations of the same dialog into the panel. 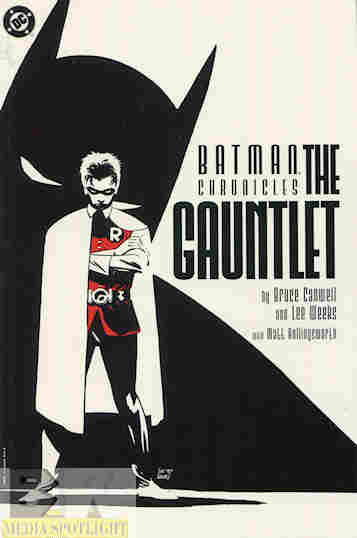 The third issue was better for only needing one language but still not that great, so what does this series end on? 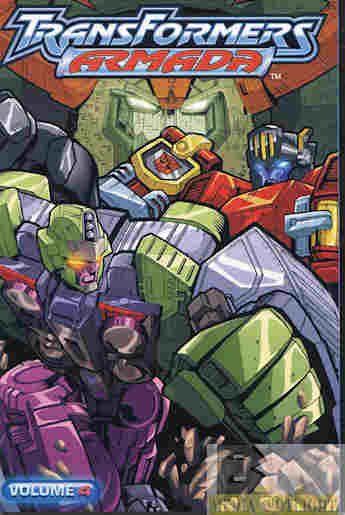 Only TWO colorists, Dreamwave? Are you finally realizing you don’t need five colorists on one book, especially a minicomic? Since none of the Energon minicomics have credits we’ll never know. There’s nothing more satisfying than a completed project, especially a big one that needed four weeks to complete. But complete it is. I wanted to sort my comics so they flow in a better order to properly go through them all, and I succeeded. I ended up finishing before the week was out so I took on some smaller project that I could only do once the comic re-integration project was complete. Let me take you on a short journey through my week and all I accomplished. This is going to be a short report. This week I was more interested in finally finishing my Christmas comic…which as you can guess from the posting date is already a few weeks left. If I can get it done for tonight I’ll be very happy. Not that I didn’t do anything. I did organize my letter “T” titles, which included two big ones: Teenage Mutant Ninja Turtles (with at least four different continuities to sort separately) and some Transformers comics I came across, some of which I already pulled out since I know I don’t want them. Not that they’re bad (though some of them are) but IDW took the franchise in a direction I don’t care for, which is the opposite of what they did with the Turtles comics. And there’s still the border marking, mixed with my removable tape running out. I have to use regular tape and hope the bag doesn’t rip the next time I go to read the comics down this way. Removable tape is hard to find, if they still make it. The plan is to finish off this phase of the project this week and move on to another project while I continue to slowly go through the collection, finding the comics I still enjoy and want to read again versus the ones I don’t care for and willing to go away, thus cutting down my oversized collection. We’re almost done with this one. I needed a few days break before I resumed the project on Thursday. But I got quite a bit done in three days, and now I see the light at the end of the tunnel. Once I’m done with this I have to organize my records, then I can put the table away and have room to take down my Christmas decorations. So I want to get through this as fast as my body can go through. Here’s a breakdown of what I’ve accomplished this week. There really isn’t much to report on today’s work. I sorted my Sonic The Hedgehog comics, and found there’s a few missing somewhere because of course there is. I found a couple of series I want to get rid of, but one of them needs to be reviewed on my other site first for completeness sake. I marked myself one week to complete this project, and I didn’t. There is still more sorting and organizing to do before my comics are in a proper order. That doesn’t mean I failed, though. It was time to break out the table again. Today was all about sorting comics. That was the plan…but the plan didn’t require me to hate myself for what I’ve done to myself! As I’ll get into I had to seal with one section of comics totally out of order and having to be sorted more than I thought, and other titles and letters I thought I was done with! It was a huge exercise in frustration and I only have my past self to blame! But I got through it and that’s what matters!